On 27 July 2015, the Department of Trade and Industry (DTI) published the Copyright Amendment Bill for public comment (Bill). The Bill proposes substantial changes to the Copyright Act of 1978 (Copyright Act), which in turn governs the protection, ownership and use of many categories of works, such as computer programs, broadcasts, art, music, films, books, documents and any other material reduced to digital or written form. If the amendments proposed in the Bill are enacted, they will have significant consequences for both individuals and businesses alike, particularly those in the software, technology, education, advertising, music, film, media and publishing industries. Although we appreciate the attempts by the DTI to modernise the Copyright Act, especially in the context of the digital environment, we have concerns about the drafting, formulation and presentation of this Bill - a view shared by prominent academic commentators. In any event, the primary purpose of this e-alert is to provide a high level summary of some key proposed amendments. The Bill introduces two major restrictions on the assignment (transfer of ownership) of copyright. Firstly, copyright owned by the state will not be transferable. This will have huge implications for the state and parties wishing to do business with it. Secondly, any transfers of copyright will only be valid for 25 years. This will impact on the ability of authors and creators to monetise and deal with their works in a commercial context. The Copyright Act currently provides that the state will own the copyright in all works made by (or under the direction or control of) the state. This will be expanded to include works which have been funded by the state. We note that the Bill does not include a threshold regarding the value of state funding and, presumably, this provision will also apply to works that are only partially funded by the state. The Bill also provides that the state will own all 'orphan works', which appears to include all works where the owner is unknown, cannot be located or deceased. It is peculiar that the concept of orphan works includes works where the author is deceased. 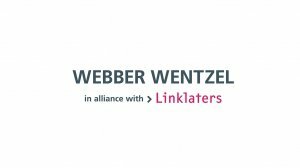 The implication is that on the death of an author, copyright ownership will not pass to the heirs, executors or deceased estate, but rather to the state. The copyright protection afforded to orphan works is also perpetual. It therefore follows that (i) the state will eventually own the copyright in all works and (ii) it will hold those rights perpetually. This is an alarming provision and our view is that this should be amended. The above provisions are especially noteworthy in light of the fact that state-owned copyright cannot be assigned / transferred. The Bill introduces several new permissible uses of copyright that would not constitute copyright infringement, even where the copyright owner's consent is not obtained. In this regard, the Bill also imports the United States (US) inspired concept of "fair use" (including the four factors used in the US). One example is "non-commercial" translations of literary and musical works - for example, private, educational, 'public information' and research purposes or for use in judicial proceedings and professional advice. Other examples of fair use include: cartoons and parodies; 'fair and reasonable' quotations; making copies of purchased CDs and eBooks; use by publicly funded archives, libraries and museums; reproductions needed to enable use / access by persons with disabilities, and other non-commercial uses. The Bill permits temporary copies that are "transient and incidental" and which enable network transmissions between third parties or lawful uses which have no independent economic significance. This temporary copying exception seeks to make lawful some everyday uses of copyrighted works that are technically unlawful under the Copyright Act. There is also a surprising provision which effectively creates an exception such that trade mark or brand holders cannot bring copyright infringement proceedings for parallel imports of so-called 'grey goods'. The Bill provides that contractual provisions that prevent / restrict any act that would otherwise be lawful under the Copyright Act will be unenforceable (eg by virtue of a copyright exception). For instance, this applies to restraints and non-compete clauses in contracts that seek to restrain parties from dealing with copyrighted works (such as software, art, music or information) in a manner that would not amount to copyright infringement. This could have serious consequences for commercial dealings. a failure by a broadcaster to promote local content (see below). Artists will enjoy a right to a 5% royalty on all commercial sales of their artworks following the first sale/transfer. This right cannot be waived or transferred (except on death) and generally applies for the life of the artist and for a period 50 years from his/her death. It is important to note that this right is not extended to foreign artists in the current draft. Schedule A of the Bill contemplates that any person may apply to the Copyright Tribunal for licences to use certain types of works after the expiry of an initial period (the length of which depends on the type of work). Translation Licences: A person may apply for a non-exclusive and transferable licence to translate any copyrighted work into any of 'the languages'¹ for the purposes of teaching, training, scholarship and research in exchange for 'just compensation'. This extends to the domestic broadcasting organisation (the SABC) for lawfully made broadcasts intended for 'teaching or for the dissemination of the results of specialised technical or scientific research to experts in a particular profession' and non-commercial use. Reproduction Licences: A person may apply for a non-exclusive, transferable licence to reproduce or publish a work in printed or 'analogous forms of production' or audio-visual forms for 'systematic instructional activities²' in exchange for 'just compensation' (that is linked to what is 'reasonable' and 'normally charged'). The Bill also imposes obligations on the broadcasting industry to support the growth of local content. This includes promoting broadcasting, programming and production of local television and radio content. It even goes so far as to regulate the amount of time that can be dedicated to local content in relation to foreign content. The Bill contains very detailed provisions regulating collecting societies, which generally manage music rights and collect and distribute royalties. 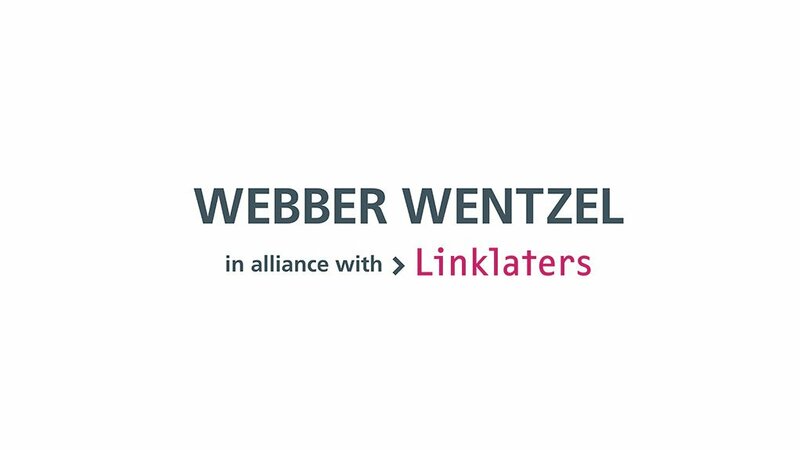 Webber Wentzel intends to submit its broader comments and concerns to the DTI by the submission deadline of 16 September 2015. In the meantime, we look forward to hearing the opinions of our clients and business partners on this important piece of legislation. ²This term is not defined in the Bill.